The Macrosiphum hellebori alate (see second picture above) has the head and thorax brown with rather faint marginal sclerites. The siphunculi are mainly dusky or dark, apart from the base which is pale. 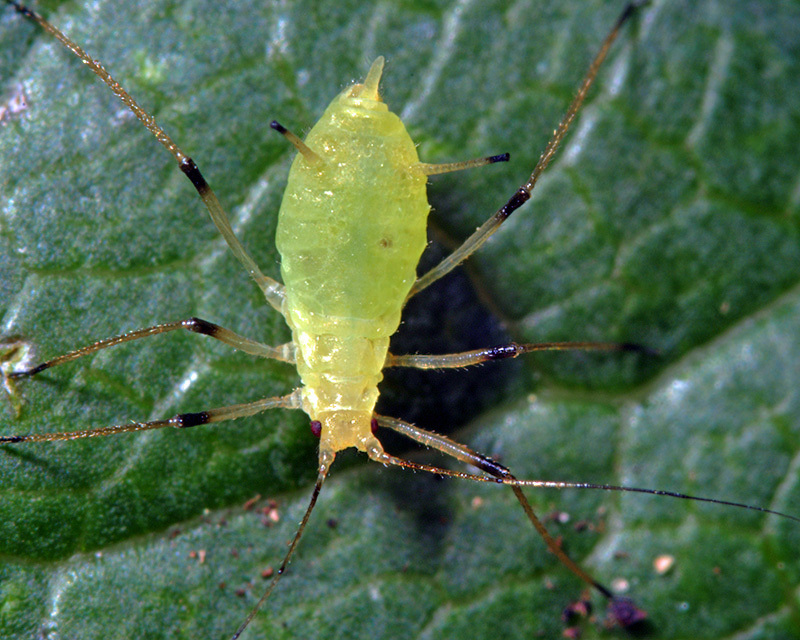 The clarified slide mounts below are of adult viviparous female Macrosiphum hellebori : wingless, and winged. 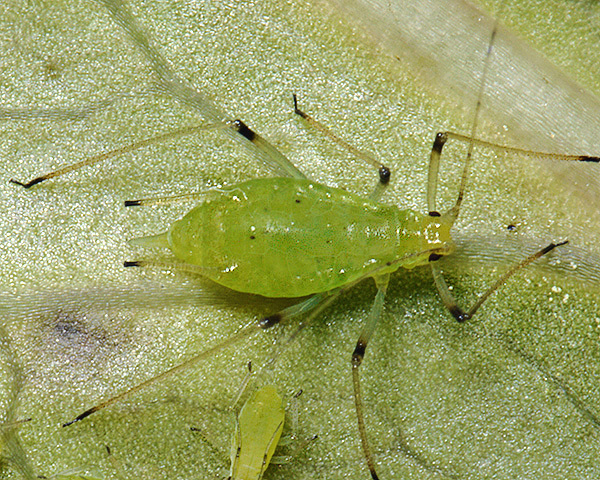 Macrosiphum hellebori lives in sometimes large colonies on the undersides of leaves of Helleborus spp. On mainland Europe it overwinters in the egg stage and oviparae and alate males are found in autumn. In Britain it overwinters mainly as viviparae. 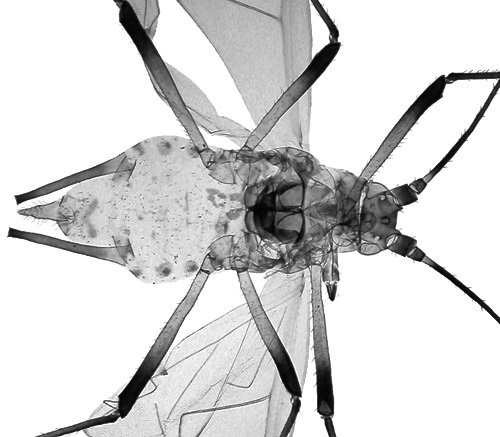 Macrosiphum hellebori is found in Europe and has been introduced to New Zealand and Australia. We have found Macrosiphum hellebori to be a common resident on hellebores in southern England. It is present throughout the year continuing to reproduce parthenogenetically throughout the winter months. In January 2018 we found an unusual yellow variety of Macrosiphum hellebori on some stinking hellebore (Helleborus foetidus) at Plumpton College in Stanmer. 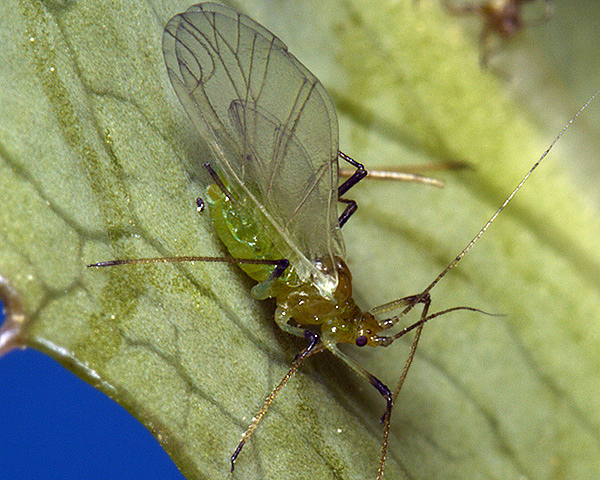 Macrosiphum hellebori has been recorded from 8 Helleborus species. Blackman & Eastop list 4 species of aphid as feeding on hellebores (Helleborus) worldwide, and provide formal identification keys. 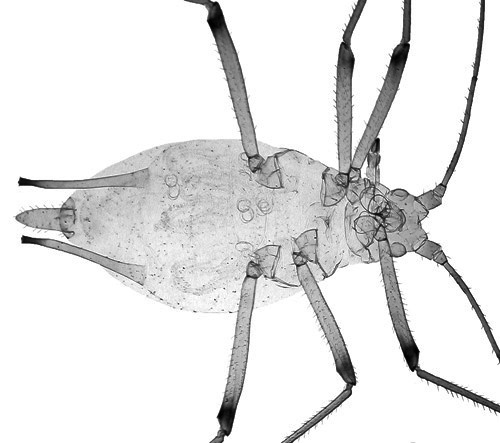 Of those aphid species, Baker (2015) lists all 4 as occurring in Britain: Aphis fabae, Macrosiphum hellebori, Rhopalosiphoninus staphyleae and Myzus persicae.